Top Eleven 2016, or as it’s called, Top Eleven Be a Soccer Manager, is an immersive soccer management game for Android or iOS devices. 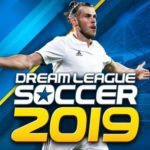 Like “cover manager” Jose Mourinho, who had most recently managed Chelsea in the English Premier League, you can take control of the soccer team of your choice, though all players in this game are fictional and randomly generated. Team names, on the other hand, are named by the human players themselves, which explains the prevalence of teams called “John FC” or “Mike FC,” etc. But the management aspect of the game is as realistic as it gets. 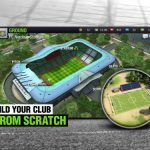 You can organize training sessions for your players, level up and unlock more training packages, set your formations and game strategies, and bid for players on the transfer wire, among others. You can also compete against friends and other managers in friendlies, or in competition matches. Oh, and you can also unlock actual football league jerseys and emblems if you play long enough. If we kept on describing the features of this game, we could go on forever, so we won’t waste much more of your time. Whether you’re a rookie manager or have been playing for a while, we hope our exclusive Top Eleven 2016 strategy guide will be your first and last resource for all things management-related. Before anything – and everything else, the first thing you’ll be asked to do is whether you want to connect your game to Facebook, or if you want to play as guest. If you’re looking to fully enjoy this game, you want to choose the former option. Not only do you get to play versus your Facebook friends, which makes the game more fun, you’ll also be able to save your progress each time you exit the game. Furthermore, friends can offer their assistance to you, either via the game or through Facebook, and challenge you to friendlies while you do the same, helping them out and challenging their teams in said friendly matches. The Squad menu is where you want to go in order to set your lineup and formation. The game allows you to easily drag players’ names from the left side of the menu, then drop them onto the right side of the menu, which is where you’ll find your formation. Evaluate the strengths of your team – do you have a robust attack? You probably want to set things up for a 4-3-3. If you’ve got enough strong defenders, then maybe 5-3-2 would be a good way to go? Make sure you check each player’s data by long-pressing on their names; don’t just stop at their Quality star rating. Unless you’re really short on manpower due to injuries or yellow/red cards, you want to be absolutely sure everyone’s playing at their desired position – and side. You can’t play a defender in the midfield, nor can you play your strikers on defense, unless you want them to play off-form in a really bad way. Likewise, center midfielders should be played in the center, not left, not right. Also make sure your players are in good condition before placing them in your lineup – fatigue leads to bad form, and you don’t want that happening on a match day. Training is, to put it simply, how and where your players get better. But there has to be some strategy involved when training your players. Strikers should go through attack drills, defenders through defense drills, midfielders through a mixture of both; for attacking or defensive midfielders, you’ll want to skew training based on their position, e.g. have your AMs do more attack drills. Goalkeepers, naturally, should go through goalkeeper drills, which are found under defense. The game will tell you how many more drill sessions are needed before your team is in condition for the next match day, though you might not want to go over that. Going back to the earlier tip, it’s not a good idea to play fatigued players in matches, as they wouldn’t be playing in perfect form. Sure, it’s important to improve your players’ skills, but overtraining will only be counterproductive when all is said and done. Transfers in Top Eleven 2016 are based on a bidding system; there’s no option to buy a player immediately by paying a certain, often higher amount of money. Instead, you’ll have to go through the live auctions, which consist of one initial round, plus several knockout rounds that have to be played as long as there’s more than one person actively bidding. Our best tip here would be to enter you bids just two seconds before the allotted time per round expires; this gives you the best chance of being the leading bidder when the next round starts (or the winning bidder, period), while also giving you just the right amount of time so you don’t get shut out of the next round for submitting a bid too late. When you first start playing the game, you’ll have a lineup full of scrubs. However, you’ll have enough cash and tokens (a bid costs one token each) to add at least a few players of four-star quality or better. It’s these more talented players you want to focus on – they will cost more than three-star players or lower, but they’ll be worth it by making your team substantially better. When your funds are running a bit low, that’s when you’ll want to lay off the transfers for the meantime. Instead, you can focus on the players currently on your squad – it may take a while, but even those who started out as three-star journeymen could see a generous quality boost if you just keep on training them as you play the game. Top Eleven 2016 is a rather slow-paced game, where you have little control over how frequently your team plays, or how soon your next match is. That’s probably just as well, as it more accurately simulates real-life situations than games where you can play all those games in one day’s worth of gameplay. Also, the game goes as far as telling you what time of the day your next match is; be sure to have your game notifications on so you know when your team is playing. But should you let the game take care of everything for you? We suggest actually watching your games play out. You’ll earn some bonuses for watching matches, so take a few minutes to check out your team in action. Tokens serve as the game’s premium currency, and you can use them for a variety of things. You’ll spend one token per bid in the transfer menu, and will also need to spend some to rush building or upgrading. You can also use tokens to change your club’s appearance by buying new uniforms. We strongly advise you to save those tokens for bidding, and avoid using them for the latter two purposes, unless you were able to buy a token package in the in-app store. They can also be used to train your players much faster, though we suggest avoiding this due to the costs involved. The non-social way to do so would be through TV rights contracts, which earn you no more than one token a day. But since that basically equates to 30 tokens for one month of gameplay, you’ll want to try the social method instead, and that’s to refer a friend to play the game. If you’re able to recruit someone, you’ll earn a referral bonus in the form of tokens, and you’ll also earn more tokens for many of your friends’ activities. This isn’t a matter of setting up your upgrades before bedtime, so you can wake up to see everything completed. Upgrades, which are, once again, found in the Ground menu, take days to complete, so you really will have to grin and bear it. Furthermore, it’s also important to note that you can only build or upgrade one thing at a time when you’re just starting out! Your patience will definitely be appreciated. If we are to choose one important area for upgrading, it would be the seating capacity of your stadium. More seats means more fans, more fans means more cash. It’s as simple as that. While you may be tempted to go crazy with the player signings and the ground upgrades, you also should leave some money in reserve. If you’re in the red for more than seven days, meaning your cash balance is minus, the game will help you out, albeit in ways detrimental to your team. It will try to save you from going bankrupt by selling your players, starting with the best ones. And that could be poison for a team that’s on a good run in the league standings, not to mention your team’s overall morale. Looking to move up from league to league and perform better for longer? 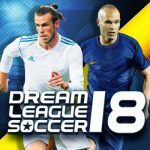 Real life suggests in many situations that it pays to have a lineup of tried and tested veterans, but in Top Eleven 2016, youth is certainly where it’s at. Younger players improve faster and can be kept on your team longer as you help them get better. If you’ve got a choice, you definitely want to bid for players aged 26-27 or younger when working the transfer list; players aged 30 and above no longer have that “upside” or that great potential to get better. Here’s another reason why you want to be watching your team play – it also allows you a chance to be involved in the match itself! Swipe right and you’ll be able to tweak your strategies on the fly, and go to the Bonuses menu so you can motivate your players to perform better in a certain area. All this can potentially mean the difference between winning and losing. We would, in particular, suggest that you listen to what your assistants are saying; you can press the X’s and O’s button on the upper right to check out some comments from your assistants. Sometimes, they’ll be pointing out an area where your squad is doing well, but other times, they’ll cite some areas for improvement. Take note of those weak points and head to your team screen (by swiping right) to adjust formations, strategies, etc. to what your assistants had suggested. 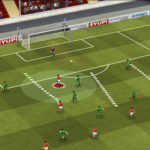 Though you can take part in friendly matches with other human players, or preferably against your friends, you can also test your mettle against the computer AI – in the form of former Chelsea manager Jose Mourinho. Now unless you’ve got a team of five-star players, you’ll be the underdog in these matches. He may always be showing as “Level 1,” but don’t underestimate him. Beat him and you can win some nice rewards, including cash and health; you can play a friendly match against Mourinho every 24 hours.